Nick Patricca's play Oh Holy Allen Ginsberg . . . has been selected to kick-off the 2008 TOSOS II producers' reading series in New York City on February 2 at 6:00 p.m. at the Ripley-Grier Studios, 520 Eighth Avenue ( b/w 35th and 36th St ) , Studio 16Q. ( Admission: FREE. ) Nick will attend the reading which is directed by Mark Finley, artistic director of TOSOS II. In May of 2006, Bailiwick Repertory under the direction of David Zak ( with the support of a Governor’s International Artists Exchange Award from the Illinois Arts Council and by invitation of the Festival producers ) presented Oh Holy Allen Ginsberg . . . at the Dublin International Gay Theatre Festival where it won the “The Oscar Wilde Award for Outstanding Achievement in New Writing for the Theatre." Oh Holy Allen Ginsberg . . . ( published by the Dramatic Publishing Company: Woodstock , IL ; London , England ; Melbourne , Australia ) deals with the struggle of a Gay Catholic priest in Chicago to deal honestly with his sexuality while remaining faithful to his commitment to his Church. 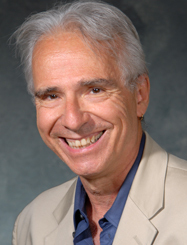 Nick Patricca is professor emeritus of theatre at Loyola University Chicago, playwright in residence at Victory Gardens Theater, Chicago, and artistic associate at Bailiwick Repertory, Chicago.